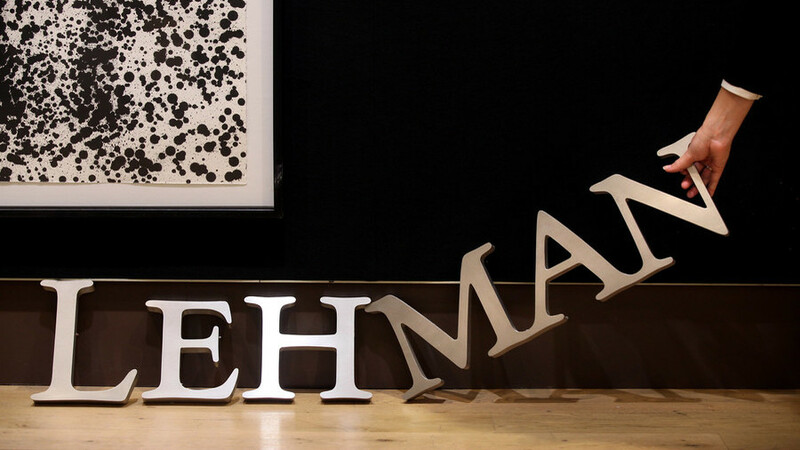 As the world marks the 10th anniversary of the worst financial crash in recent history, it’s worth looking into who was held responsible for knowingly issuing fraudulent mortgages that led to the crisis. 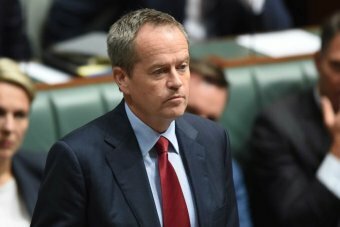 Two of Australia’s financial powerhouses face the threat of class actions for ripping off their superannuation clients. 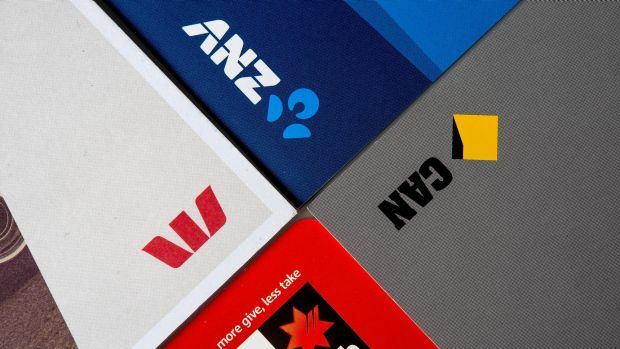 Plaintiff law firm Slater & Gordon on Tuesday revealed it was seeking expressions of interest for a class action against financial institutions in the wake of damaging revelations about their treatment of customers. 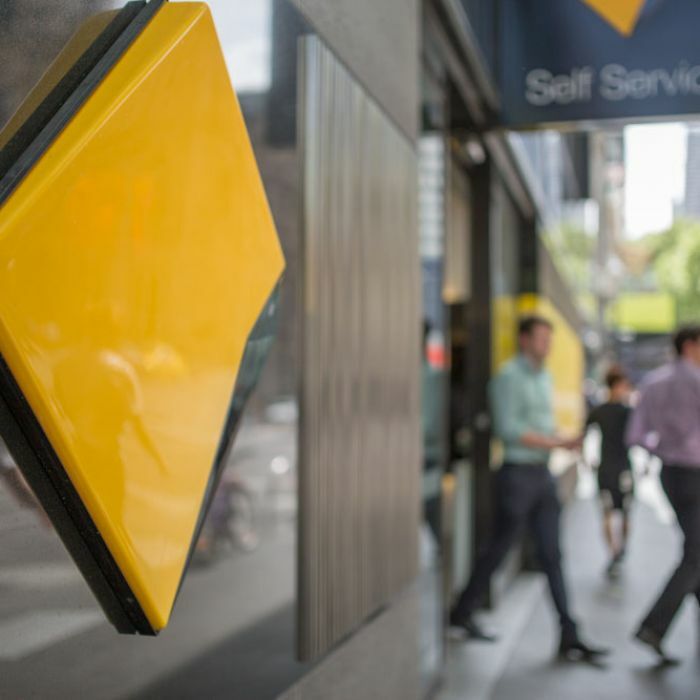 The Commonwealth Bank has spent seven years denying and covering up the role of its staff in a $76 million loan fraud that has left unwitting customers homeless. 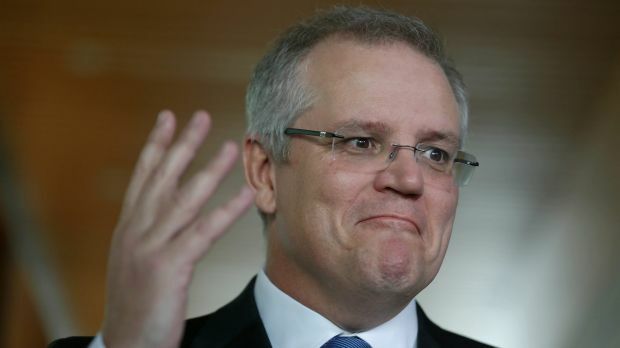 Macquarie’s top 10 executives collectively received $119.4 million, which puts even the CEO pay packets at the Big Four banks to shame. 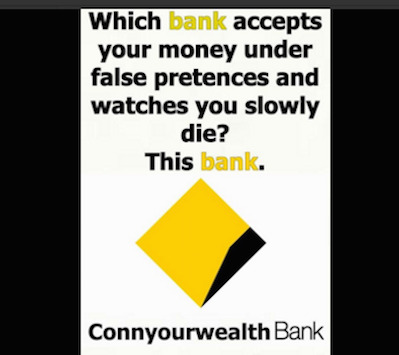 This will be the case for some time if the banking royal commission is anything to go by. 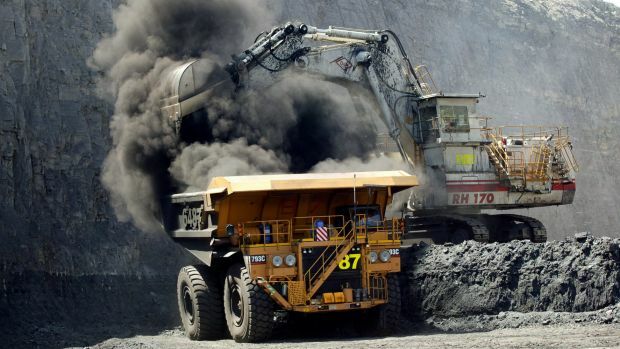 Austrac may or may not have given CBA assurances that it would warn it ahead of any action but it is consistent with what we know of the banks and their regulators that they expect to be forewarned of any regulatory action and they expect to be given – and almost always are given – the ability to negotiate an out-of-court settlement on any issue of substance. 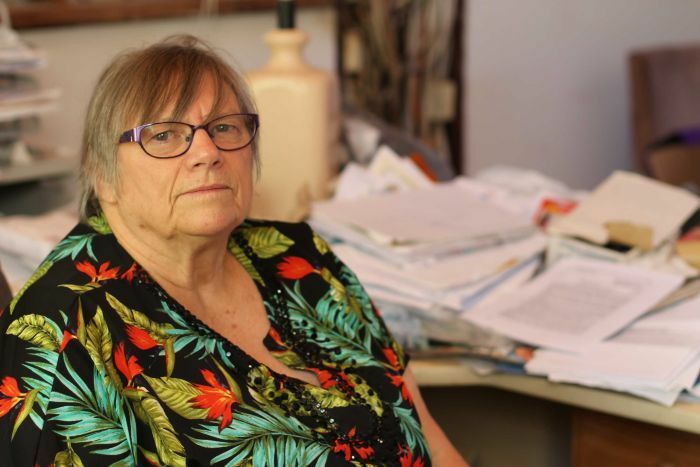 At 71, Linda Schmidt should be enjoying retirement. 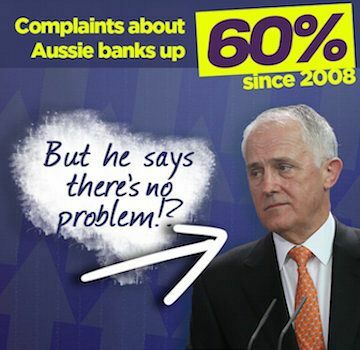 But for the past two years the Perth nurse has been crippled by debt, and fighting the banks. “I just survive from day to day, black dog trotting around behind me,” she told 7.30. 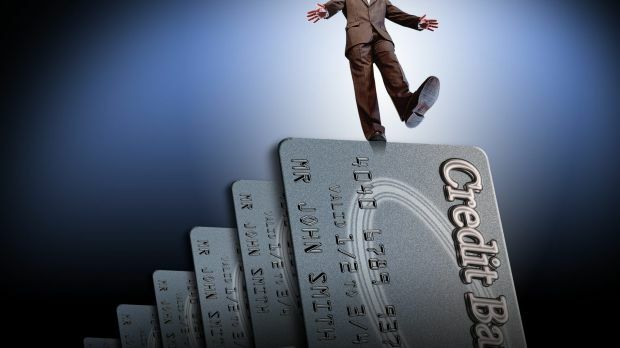 She owes more than $3 million to half a dozen lenders. The loans cover her own home and, not one but 11, investment properties. 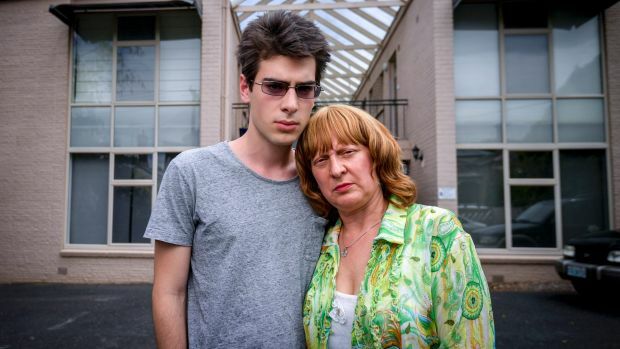 Her superannuation has plummeted from more than $500,000 in 2012 to just $540. Now she is faced with the prospect of losing her home. 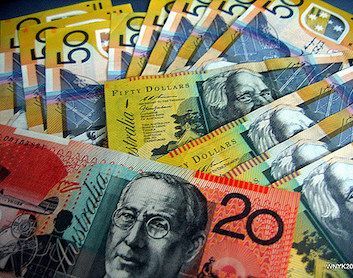 Growing mortgage stress has led to consumer advocates calling for the banking royal commission, which meets for public hearings in Melbourne tomorrow, to examine irresponsible mortgage lending and the way banks assess whether loans are affordable. 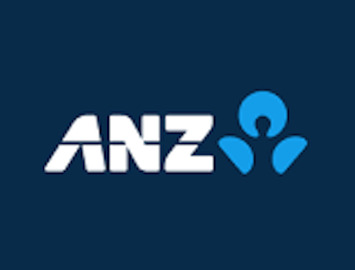 Remember when banks provided a service and didn’t just service the customers? 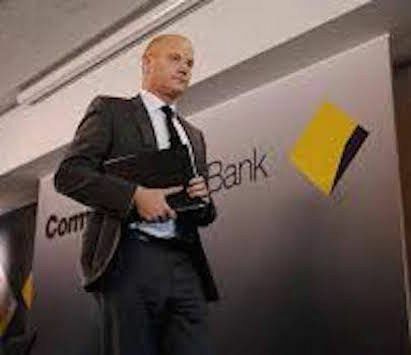 The Commonwealth Bank is locked in the early stages of damage control as it confronts allegations it allegedly breached anti-money laundering rules. Filed under: Corporate Crime, Who do you Jail? 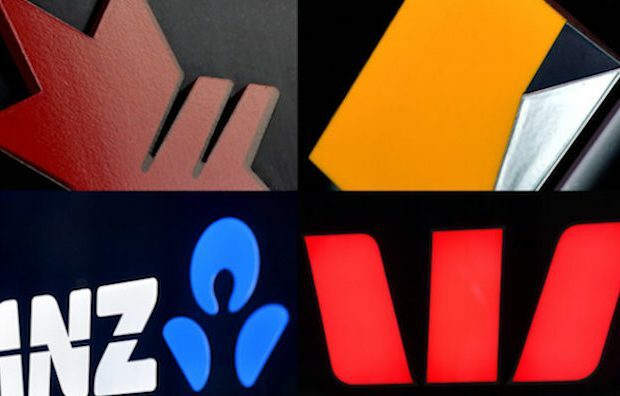 Market Forces conducted a detailed survey of the big four banks’ project finance – lending to a specific mine or project, rather than a corporation – since the big four supported the Paris agreement to limit global warming to no more than 2 degrees. 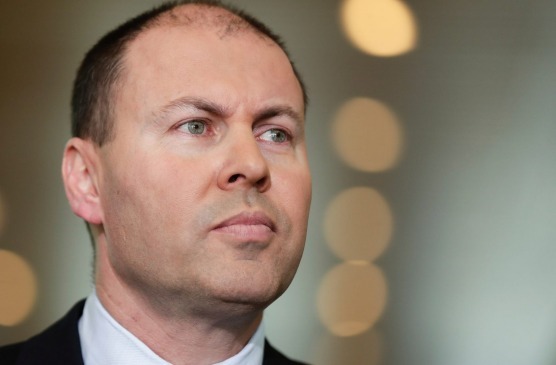 Leaked news of a budget bank levy wiped $14 billion from the banking sector in one day — will anyone be investigated for insider trading? ‘Spectacular Betrayal’ as Trump Rolls Back Wall Street Regulations – Truthdig| They created the GFC| Ponzi is back through the front door. The president is set to scale back the 2010 Dodd-Frank financial-overhaul law and roll back an Obama-era financial regulation. 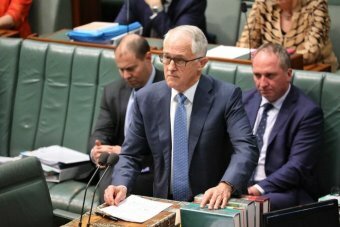 First home buyer loses deposit after NAB backflip over apartment size| How many others bought off the plan? A first home buyer has lost a $41,000 deposit on a St Kilda apartment after the National Australia Bank walked away from the loan at the last minute due to the property’s size. 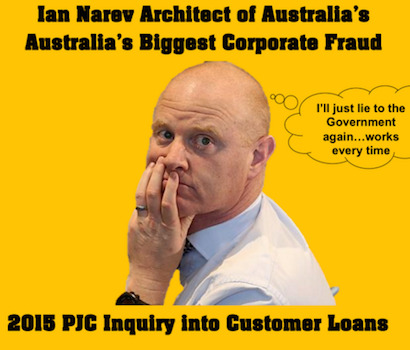 As Ian Narev fronted the first annual grilling of the banks, who held the power was clear. And it wasn’t the government. 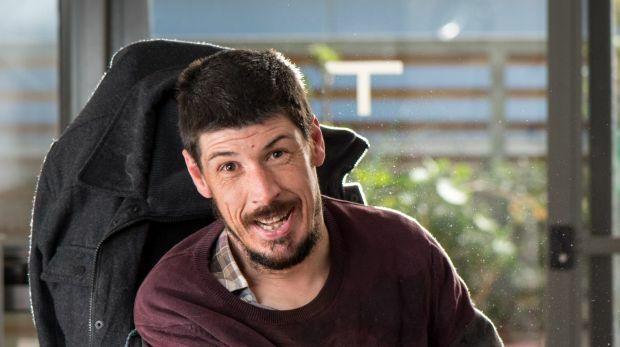 Wheelchair-bound Brandon Tomlin has lodged a complaint with the Human Rights Commission over his treatment at the hands of Westpac Bank, which has banned him from all its branches. 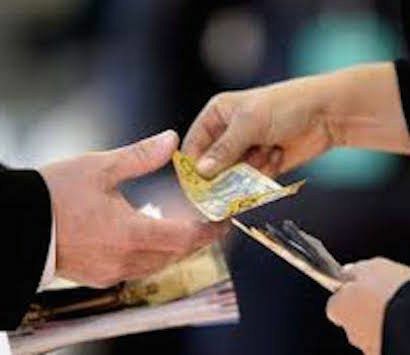 Dr Evan Jones continues his analysis of corrupt self-regulation in the banking sector, demonstrating the critical need for a Royal Commission. Dr Evan Jones tracks the criminal history of self-regulation in the banking sector, demonstrating the critical need for a Royal Commission. 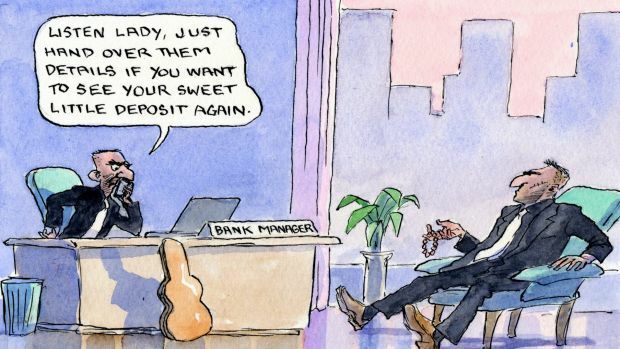 Banks are exploiting the fact that we are bad money managers. 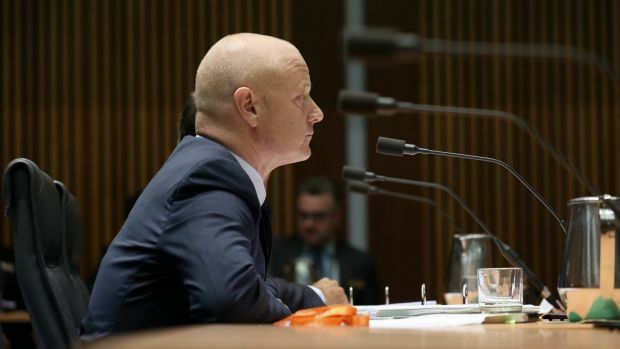 Dr Evan Jones recounts the war of words at the current banking inquiry between the criminally corrupt CBA/Bankwest and its fraudulently foreclosed borrowers. 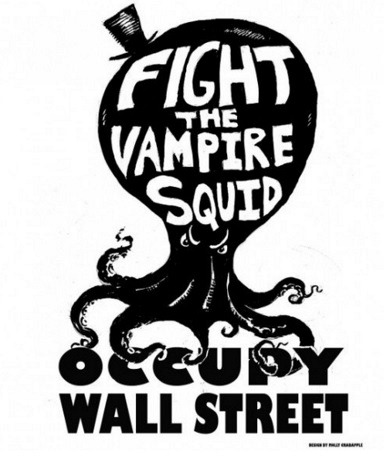 Is there any antipathy greater than that we reserve for the banks? It’s true today as it has always been. 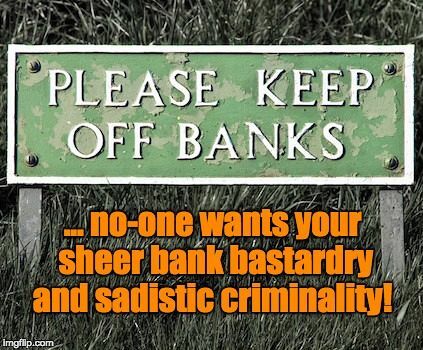 And now, for normal punters, banks have become a law unto themselves. 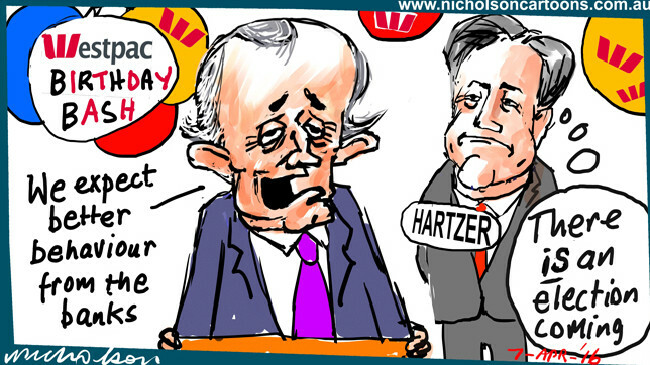 That’s why they’re backing a royal commission to the hilt. 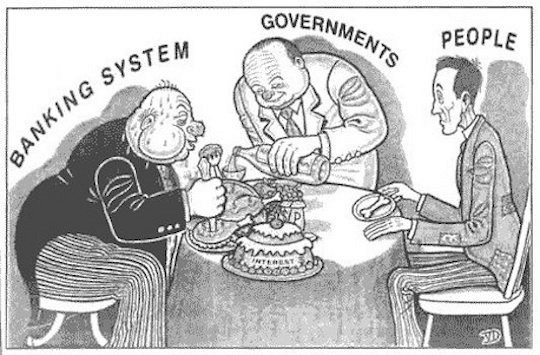 Our financial and corporate regulatory system manages to be both bad for the economy and for public transparency. And neither the Government nor the Opposition has a plan that will likely resolve it. 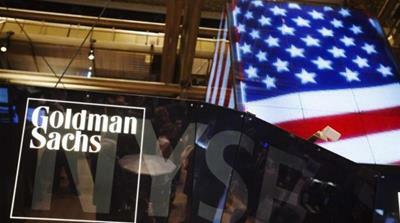 Goldman Sachs has agreed to pay a $5.1 billion to settle a U.S. probe into allegations that it misled mortgage bond investors during the GFC. 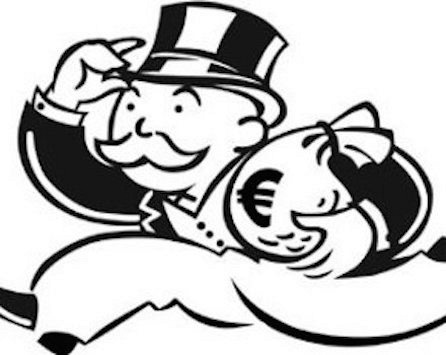 Dr Evan Jones continues his six-part analysis on the series of parliamentary inquiries into systemic bank corruption as the victims of fraudulent foreclosures continue to wait for justice. 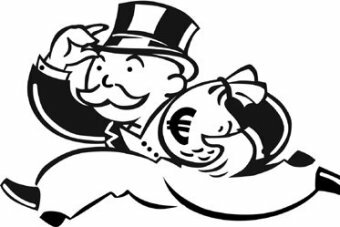 Dr Evan Jones discusses the latest in a series of parliamentary inquiries into systemic bank corruption as the victims of fraudulent foreclosures continue to wait for justice.